A child's success in education is one of thse biggest predictors of future success. 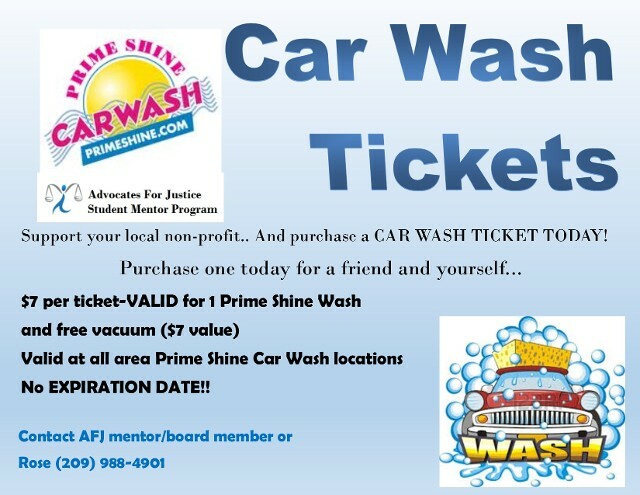 tickets are $7 and valid at any of our local Prime Shine car washes! We will work to do minor improvement and beautification of Modesto High School. AFJ volunteers may be eligible to attend an Oakland A's game in June.